Picture books and stories come to life in a child's imagination. In this story we learn about the importance of friendship. The characters can actually jump out of the book right to the childrens lap. 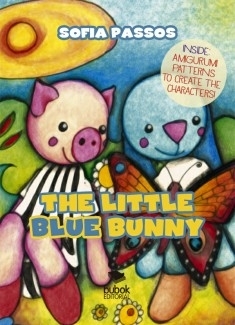 This is the tale of a Little Blue Bunny who meets a new friend, and they both learn that having someone to play with is far more important than any material object. There is nothing more valuable than a true friend. Grownups on the other hand can learn how to create the story characters using the Japanese crochet technique called Amigurumi. The truth is that everything that we made with love and dedication with our own hands will always have a special charm.